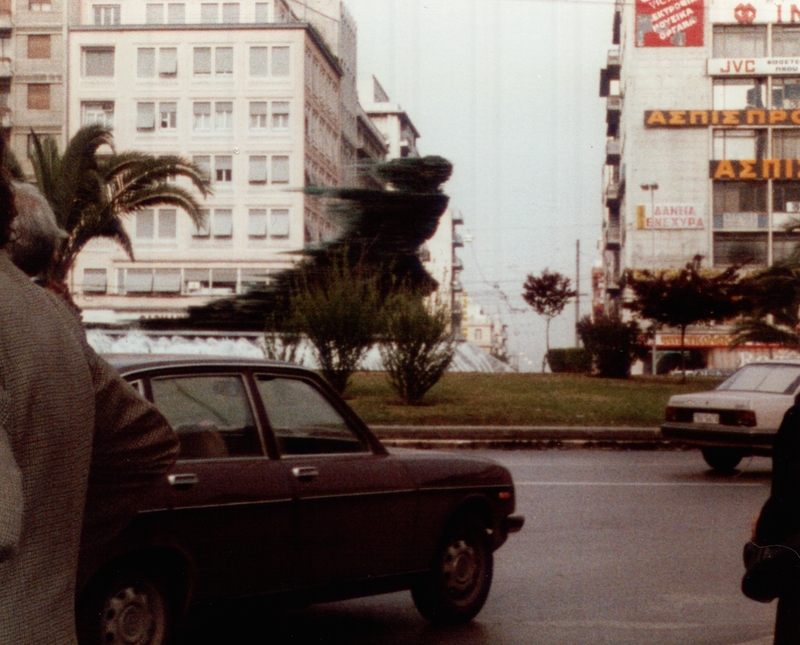 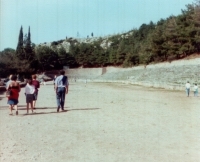 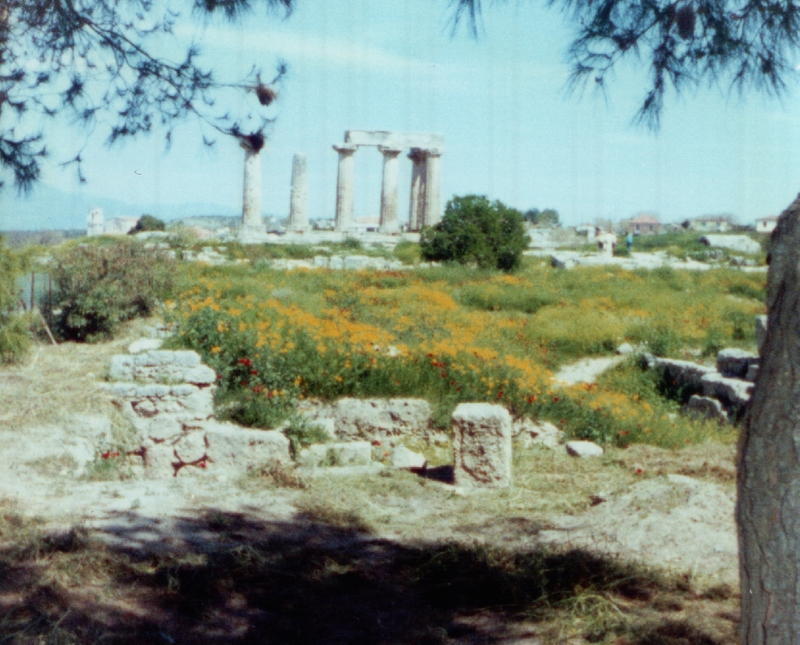 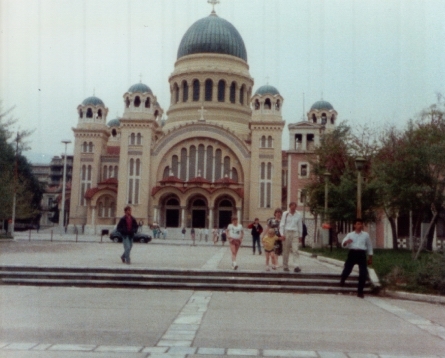 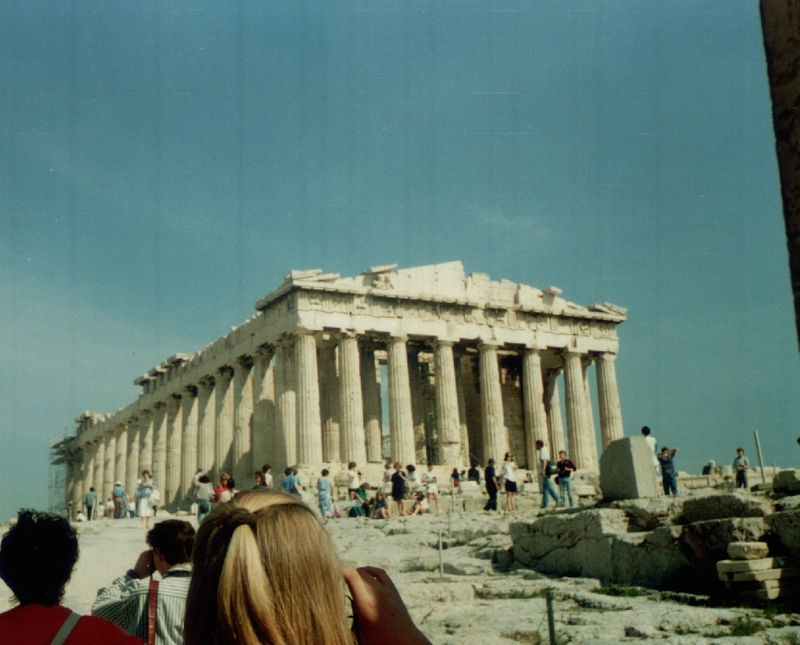 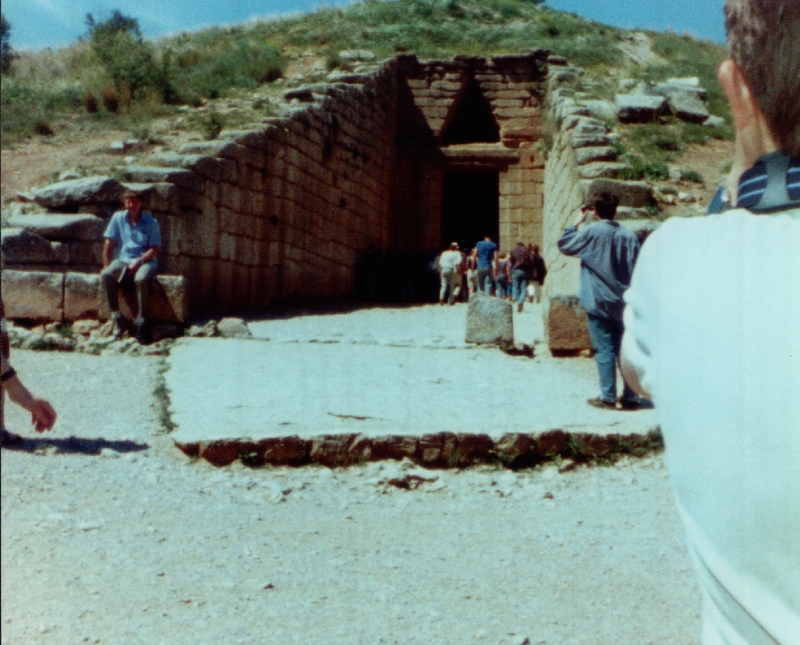 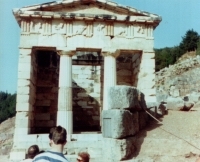 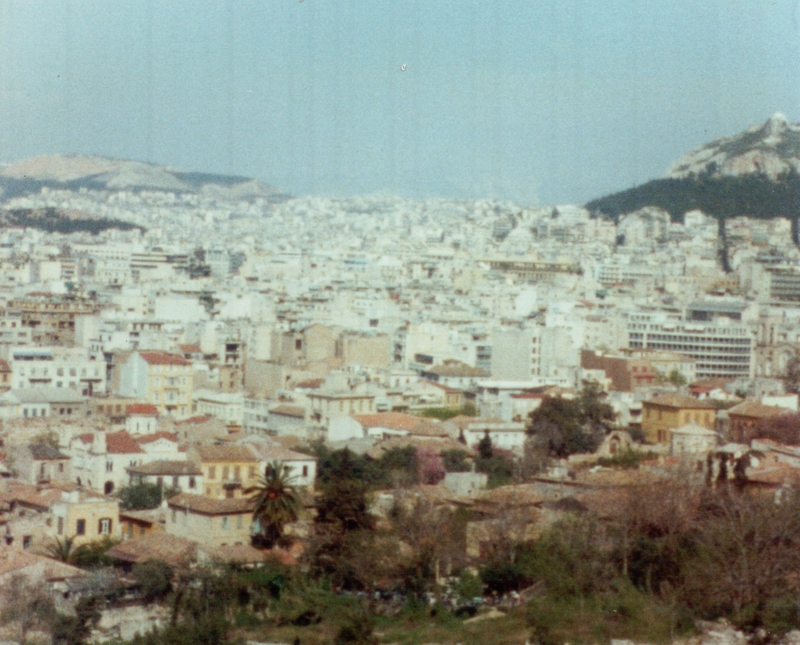 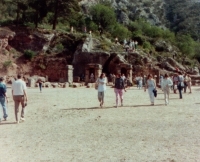 In the second year at school we took a school trip to Greece. 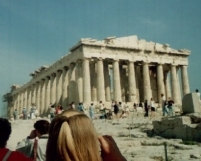 We spent 5 days there, most days travelling by coach to more sites and the next hotel. 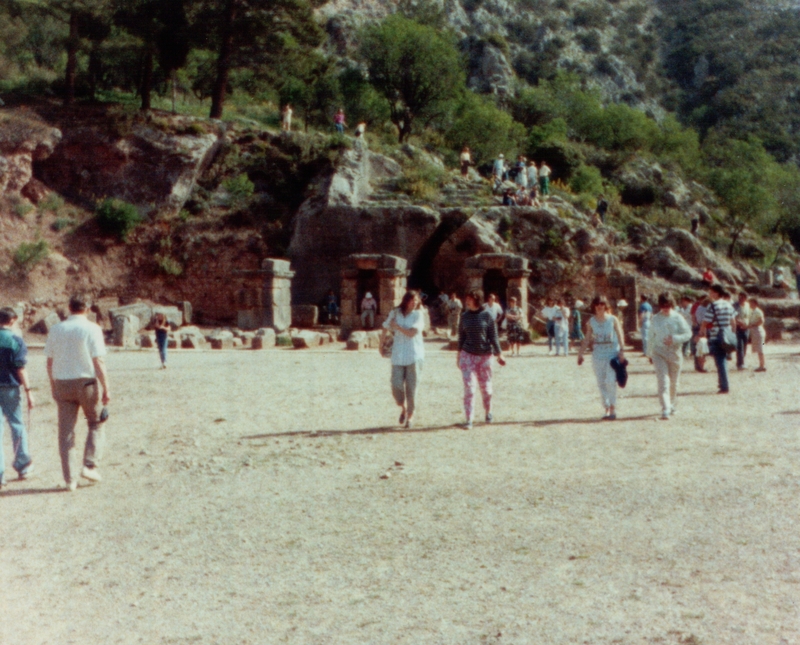 The photos may be a little out of order, but I have given names and locations where I recall them. Places included Athens, Delfi, Olympia, Corinth, and Tolo. 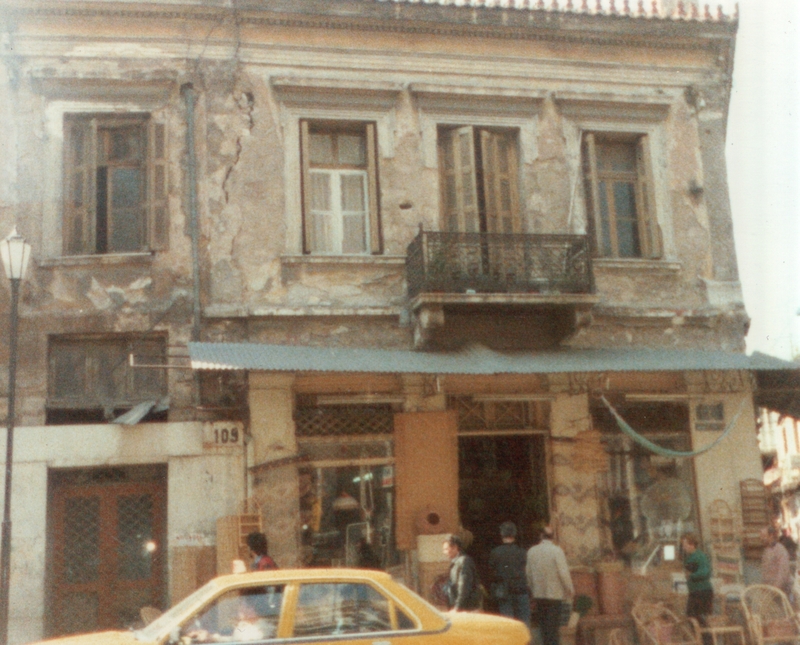 This house in Athens shocked me - where we were staying a lot of buildings were in this condition. 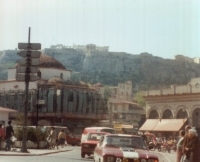 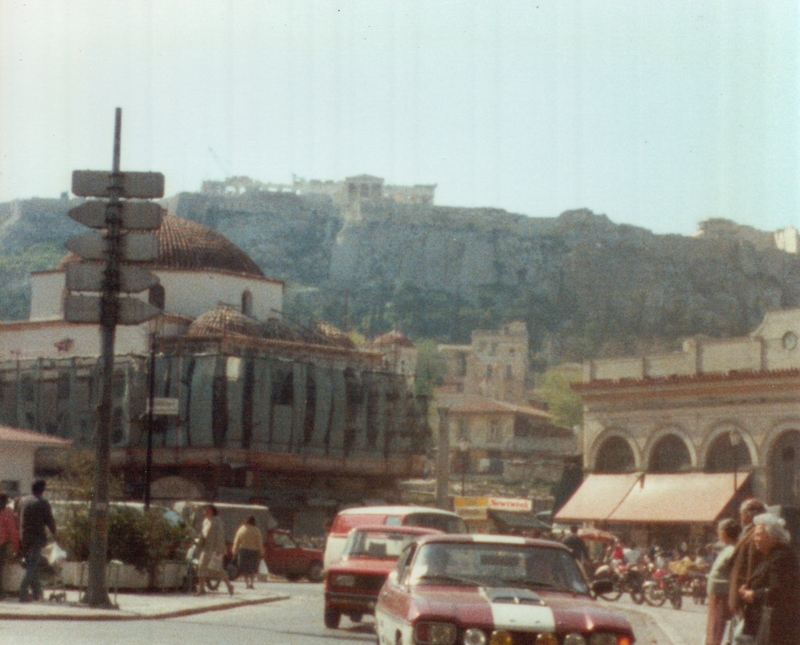 Our first view of the Acropolis, on the hill. 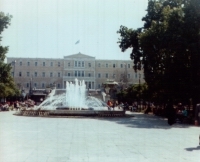 The Government building in Athens. 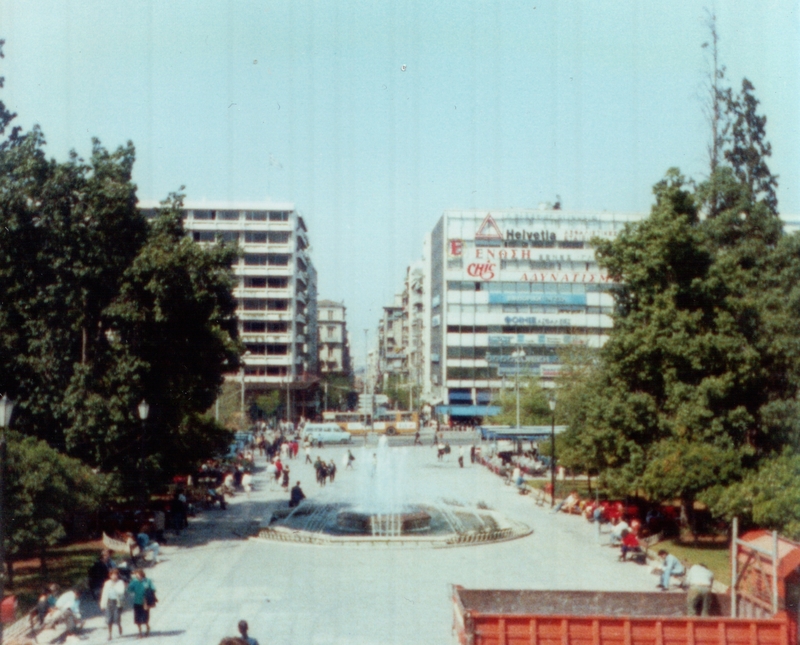 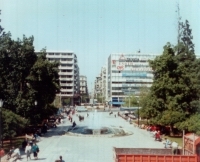 The street looking away from the Government building. Statue. It was created in streaks to look blurred. 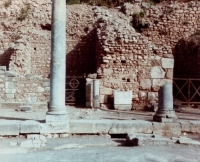 An ancient marketplace or shopping area. 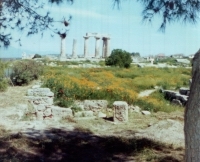 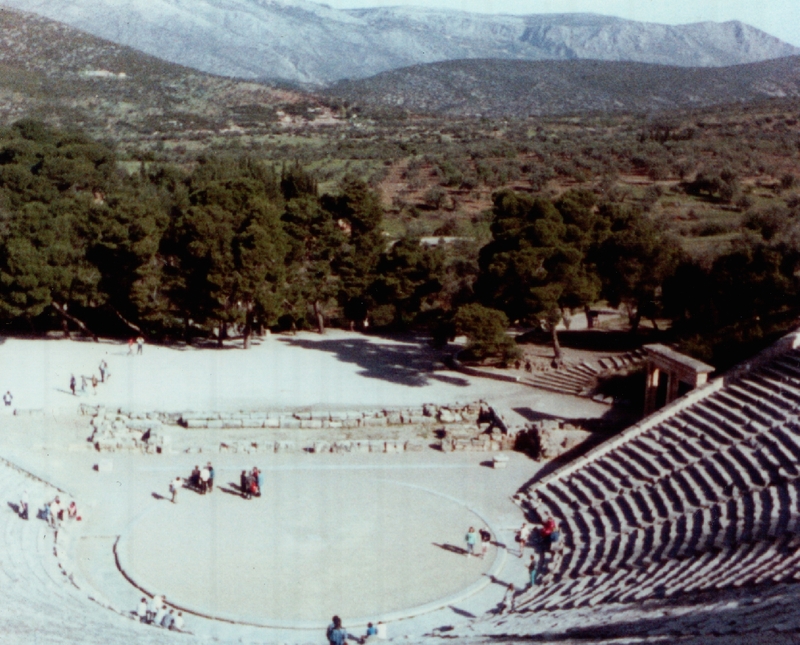 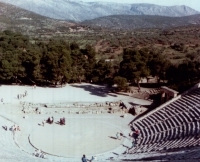 Olympia, where the Olympic Games originated: seating. 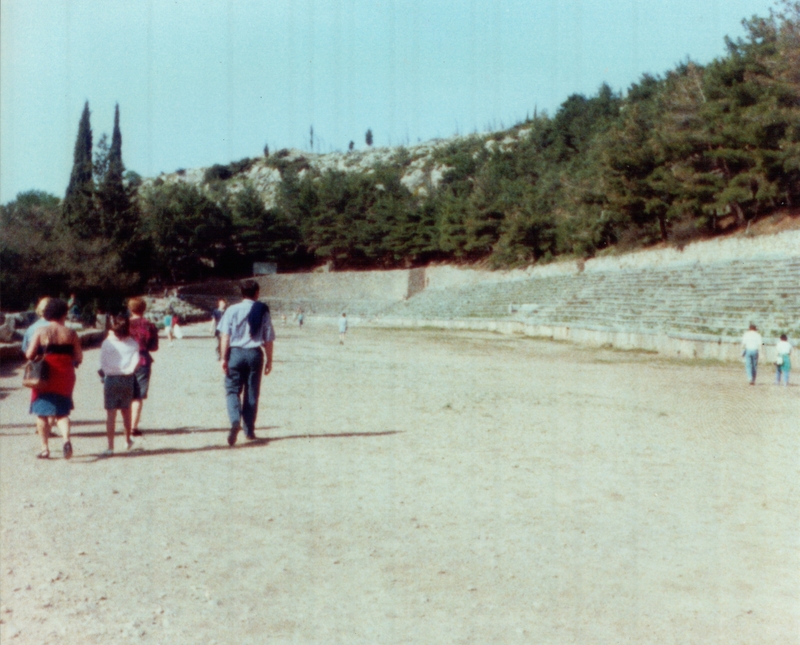 More of the stadium in Olympia. 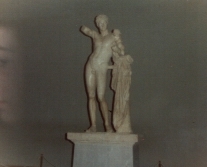 Statue in a museum. 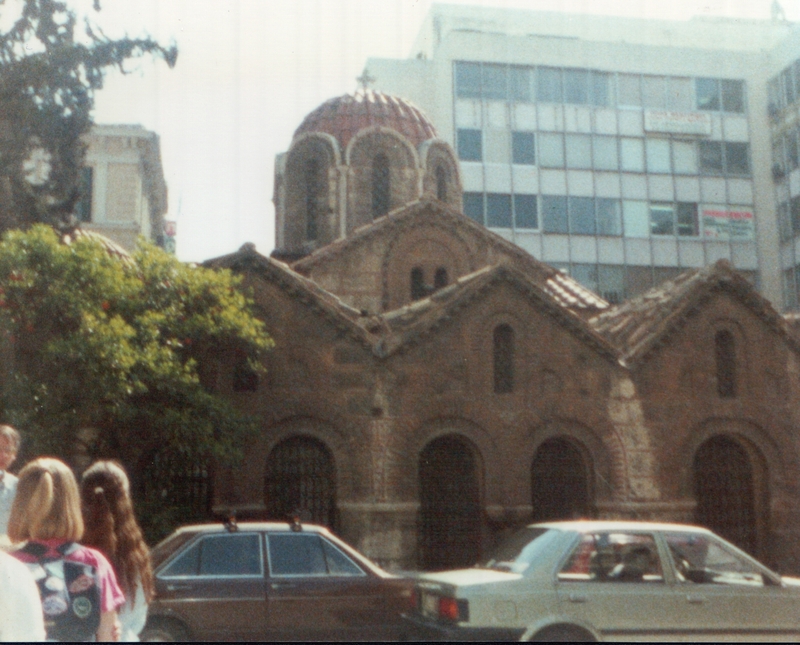 There were quite a few of this type. 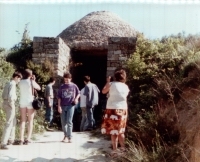 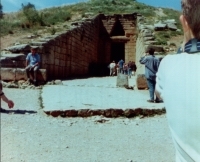 Entrance to a sarcophagus, or burial chamber. The Corinth canal. A tanker passed underneath and looked like a toy! 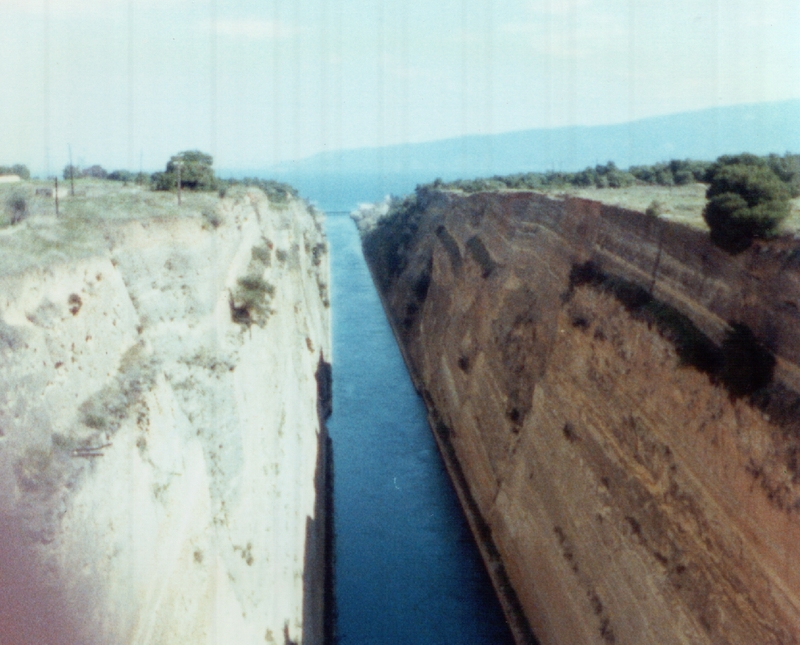 It was about 80m below us. A stunning amphitheatre. 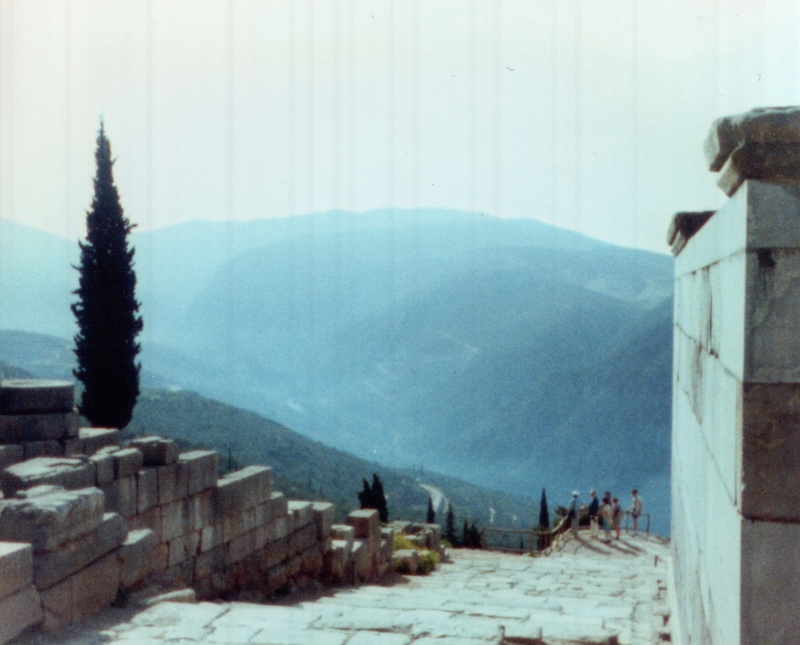 I stood at the bottom and called to a friend at the back, who could hear me clearly. 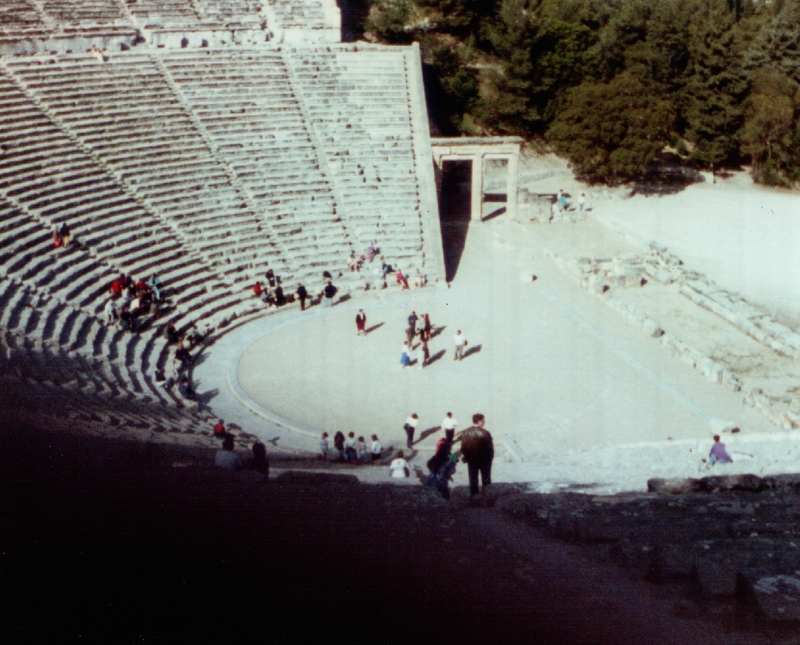 The acoustics were amazing. Another view of the amphitheatre and scenery. 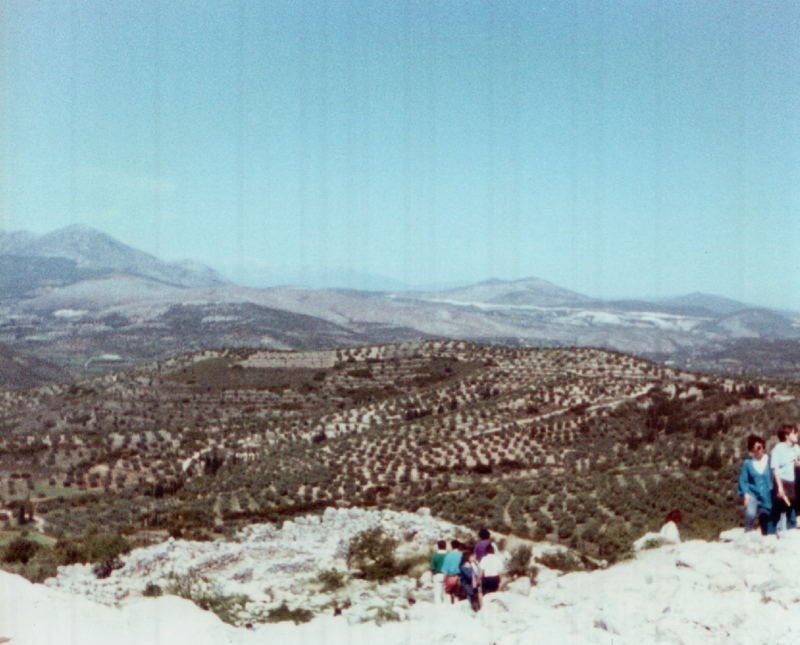 View over the olive groves and fields. 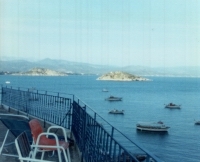 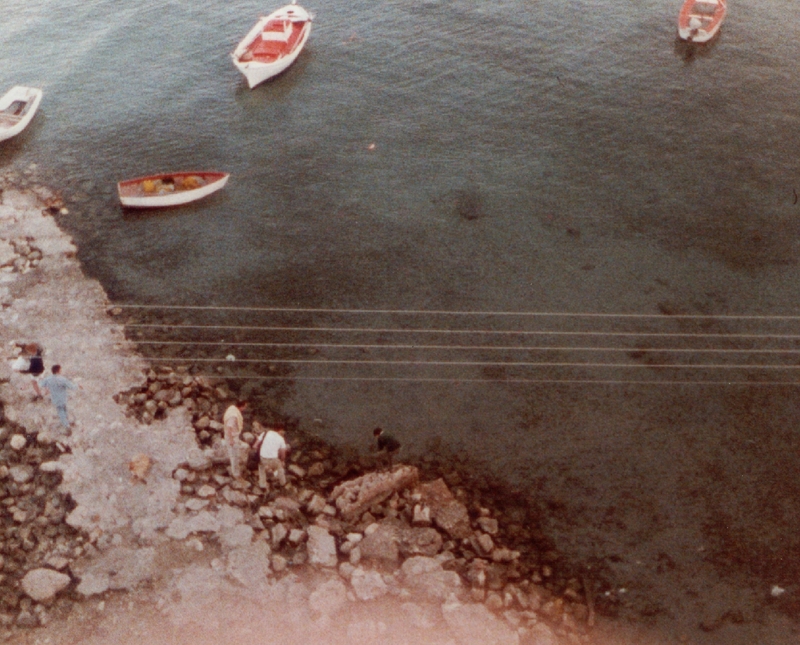 The sea, as seen from the roof of Hotel Minoa in Tolo. 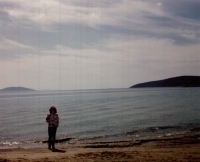 It was crystal clear, although jellyfish made my legs sting terribly when I went paddling, and you could see stripes on my calves where they had touched. 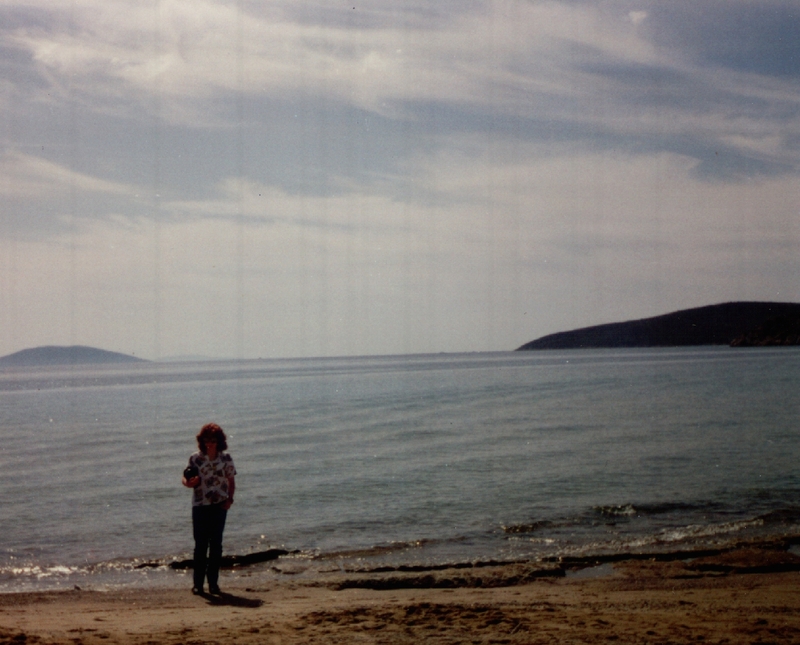 Me (aged 13) standing on the beach in Tolo. 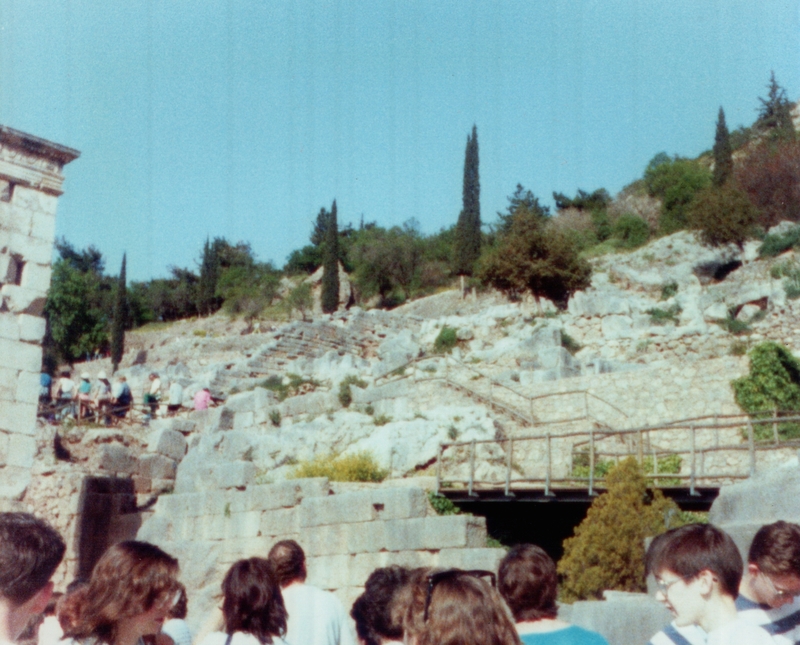 The following year, the same group went on a Classics trip to Italy.